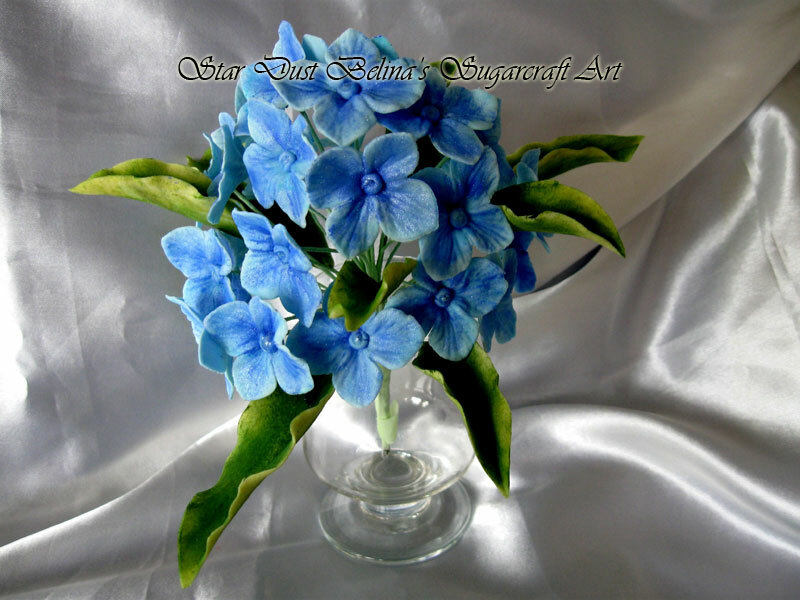 Hand Crafted Sugar Flowers .Sugarcraft Hydrangea, Freesias and Sugar Blossoms. perfectly for your Cake. 100 mm approx.